Bryan L. Ellis, 29, of Indianapolis, Indiana, entered a guilty plea to attempted possession of a controlled substance with intent to distribute, a Class A misdemeanor. The court imposed a one-year jail sentence and a $2,500 fine. That sentence was suspended and the court placed the defendant on court probation for 12 months, ordered him to serve 17 days in jail with credit for 17 days served, and complete other standard terms and conditions. Caleb Owen Isom, 30, of Kamas, entered into a 24-month plea in abeyance to false personal information, a Class A misdemeanor; interlock restricted driver, a Class B misdemeanor; and driving on suspension, a Class C misdemeanor. The court ordered the defendant to successfully complete Drug Court. Kristen A Pawlak, 23, of Octant Falls, Wisconsin, entered a guilty plea to possession of a controlled substance with intent to distribute, a Class A misdemeanor, and purchase, transfer, possession or use of a firearm by a restricted person, a third-degree felony. The court imposed a one-year jail sentence and a $2,500 fine for possession of a controlled substance with intent to distribute, and imposed a zero-to-five year sentence at the Utah State Prison and a $5,000 fine for purchase, transfer, possession or use of a firearm by a restricted person. Those sentences were suspended and the court placed the defendant on court probation for 12 months, ordered her to pay a $2,500 fine, and complete other standard terms and conditions. Stephen J. Pawlak, 25, of Octant Falls, Wisconsin, entered a guilty plea to attempted possession or use of a controlled substance, a Class A misdemeanor, and possession or use of a controlled substance, a Class A misdemeanor. The court imposed one-year jail sentence and a $2,500 fine for each count. Those sentences were suspended and the court placed the defendant on court probation for 12 months, ordered him to pay a $2,500 fine, and complete other standard terms and conditions. 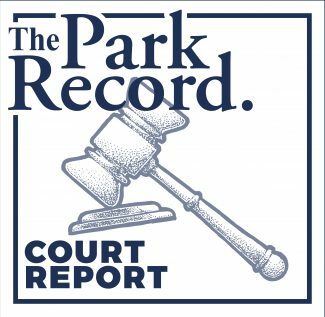 Lorenzo Ramirez-Avila, 39, of Park City, entered a guilty plea to possession or use of a controlled substance, a Class B misdemeanor, and possession or use of drug paraphernalia, a Class B misdemeanor. The court imposed 180-day jail sentence and a $500 fine for each count. Those sentences were suspended and the court placed the defendant on court probation for 12 months, ordered him to pay a $500 fine, and complete other standard terms and conditions. Guy Briggs Schoolfield, 23, of Frankfort, Kentucky, entered guilty plea to possession of a controlled substance with intent to distribute, a third-degree felony. The court imposed a zero-to-five year sentence at the Utah State Prison and a $5,000 fine. That sentence was suspended and the court placed the defendant on court probation for 24 months, ordered him to serve 60 days in jail, and complete other standard terms and conditions. Thomas H. Vozenilek, 27, of Park City, entered a guilty plea to attempted failure to stop at the command of law enforcement, a Class B misdemeanor, and impaired driving, a Class B misdemeanor. The court imposed a 180-day jail sentence for each count. Those sentences were suspended and the court placed the defendant on supervised probation for 12 months, ordered him to serve two days in jail, pay a $1,400 fine, and complete other standard terms and conditions. Matthew Morgan Blakeman, 34, of Evanston, Wyoming, entered a guilty plea to attempted possession of a controlled substance with intent to distribute, a third-degree felony. The court imposed a 180-day jail sentence. He was given credit for 61 days served. Kristi Michelle Eastin, 47, of Kamas, entered a guilty plea to driving under the influence, a Class A misdemeanor. The court imposed a one-year jail sentence. That sentence was suspended and the court placed the defendant on supervised probation for 18 months, ordered her to serve two days in jail, pay a $1,430 fine, and complete other standard terms and conditions. Jose Francisco Guarneros-Olvera, 24, of Salt Lake City, entered a no contest plea to possession or use of a controlled substance and possession or use of drug paraphernalia, both Class B misdemeanors. The court imposed a 180-day jail sentence and a $500 fine for possession or use of a controlled substance and a 180-day jail sentence and a $250 fine for possession or use of drug paraphernalia. Those sentences were suspended and the court placed the defendant on court probation for 12 months, ordered him to pay a $500 fine, and complete other standard terms and conditions. Travis Gregory Mann, 35, of Wanship, entered a guilty plea to attempted aggravated assault, a Class A misdemeanor, and criminal mischief, a Class A misdemeanor. Sentencing is Aug. 28. Rebecca D. Ross, 44, of Ogden, entered a guilty plea to false personal information, a Class A misdemeanor. The court imposed a one-year jail sentence. That sentence was suspended and the court placed the defendant on supervised probation for 36 months, ordered the defendant to serve 30 days in jail, and complete other standard terms and conditions. Thomas T. Murray, 49, of Eagle Mountain, entered a guilty plea to attempted possession or use of a controlled substance, a Class A misdemeanor, and attempted receive or transfer of stolen vehicle, a third-degree felony. Sentencing is Aug. 28. 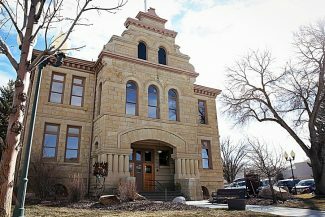 Francisco Javier Bacilio-Garcia, 28, of Park City, was sentenced for the offense of child abuse, a Class A misdemeanor. The court imposed a one-year jail sentence and a $2,500 fine. That sentence was suspended and the court placed the defendant on supervised probation for 24 months, ordered him to complete 40 hours of community service, and other standard terms and conditions. Erick N. Medley, 40, of Deming, New Mexico, was sentenced for the offense of driving under the influence, a third-degree felony. The court imposed a 62.5 day jail sentence with credit for 53 days served. The court placed the defendant on supervised probation for 24 months, ordered him to serve 14 days of home confinement, pay a $1,500 fine, and complete other standard terms and conditions.